Sometimes the journeys that we take—the places we go—are not very far. And if we pay attention, even if they are doozies, we learn a lot. On Friday I noticed my right eye was “leaking.” I wondered if I had an eye infection and made a note to call for an eye appointment on Monday. On Saturday the water, which we have filtered to remove the chlorine and other chemicals, tasted horrible. Everyone else said it was okay. On Sunday it felt like I could not open my mouth right. Yet when I pushed it, it seemed to be open widely and normally. Weird. I noticed there was a little minor annoyance, not pain exactly, but you know the level when you feel something you usually don’t feel, in my jaw on the right side. I figured I better make a dentist appointment. This morning when I woke up and looked in the mirror it was pretty startling. No, I didn’t have luscious long blonde hair. What showed up was a face that looked like it had had a stroke. As I took my morning meds I dribbled the water in the best Novocaine-induced fashion, but in reality my mouth was not numb. But obviously the muscles were not working right. Graham looked at me and pronounced his diagnosis based on someone he knew years ago. 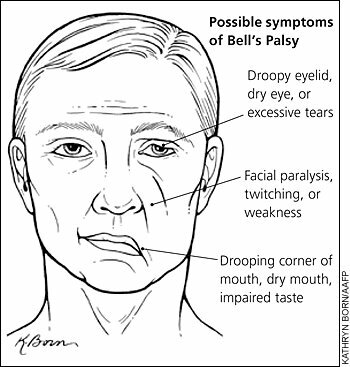 Bell’s Palsy. Sudden weakness or paralysis on one side of your face that causes it to droop. This is the main symptom. It may make it hard for you to close your eye on that side of your face. Check! Eye problems, such as excessive tearing or a dry eye. Check! Loss of ability to taste. Check! Pain in or behind your ear. Well, now that you mention it, check! Numbness in the affected side of your face. Not numb..phew! Increased sensitivity to sound. Nope, thank goodness. The cause is some virus, not entirely identified yet. So, armed with this info, I called my doctor’s office and they had me come in during their lunch hour. The doc ordered some steroids to help reduce the inflammation quickly and some anti-viral to knock down the bug. She heartedly endorsed the discussion I had had earlier with my accupuncturist and herbalist to put me on an herbal concoction as well. So, the important questions were next-how long was this going to take to get me better and since it was caused by a virus would it haunt me during my life? Her answer was important and this is why I am sharing my aches and pains with you, not to just get sympathy and hugs. The important message is because I acted on it so quickly not only should it get controlled quickly (2-4 weeks) but it most likely will never bother me again. People who develop Bell’s Palsy and do not get attention for it very quickly may have it for life. So, pay attention to your body. When something happens significantly different from your normal aging aches and pains, GET MEDICAL HELP!!! Oh, one last word…..I am thankful I am not a professional musician. My embouchure would be affected big time! Categories: education, health, Life decisions | Tags: Bells Palsy, drooping mouth, eyes, Health, herbs, Keratoconjunctivitis sicca, Medicine, taste | Permalink. Eons ago, when my 31-year-old was in 4th grade I spent some time with the class. I was helping them plan and build (very 4th grade level and low cost with cardboard and paper and markers) an amusement park. It gave them some skills to think about the services that are needed to make a fun place like that work as well as some spatial awareness and map skills. Anyway, one day I got there a few minutes early and one of the town’s police officers was presenting the DARE lecture why drugs were bad. (This was during the “Just Say No” era.) After I heard his talk I went out to the hallway with him and told him there was one thing he had not mentioned. He told me he could not change the script, but I made sure my own kids got that message. No question about it, drugs are around us. 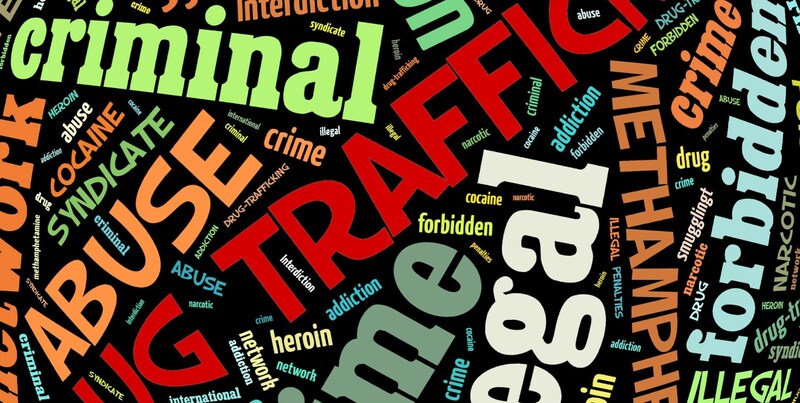 Parents who swear their kids will never mess with drugs may be right, but most likely they are wearing blinders. Think back to your own teenage years and your 20s: what your friends were doing became more and more “normal” and it would be a very strong willed young person with an amazing personality that can keep away from things that might not be wise choices. On the other hand, I know a lot of people who take medicine, myself included. Without my migraine meds at times in my past I would have had a lot of dysfunctional days. Without my blood pressure meds my body would be a ticking time bomb waiting for a stroke. Medicine, when issued by a medical practitioner (western or eastern) can make a huge difference in how you feel and function. But I have also known a number of people who, after a time on a prescribed med, felt “better” and took themselves off that medication without talking to their doctor. Their perception of reality, like the drug addict, was also not true. People around them can see the difference but usually can’t explain their concern in a way that the person involved cares to hear. So, I am NOT saying all prescribed medicine is good. But if you have a problem with it, talk to your doctor. Get it changed to diminish or eliminate uncomfortable side effects. And then stay the course to function better and healthier, even if it means a lifetime. The people around you love you. Categories: communication, education, enotions, health, Life decisions, loss | Tags: Drug, Health, Medicine, Prescription drug, Substance abuse, Substance dependence | Permalink.